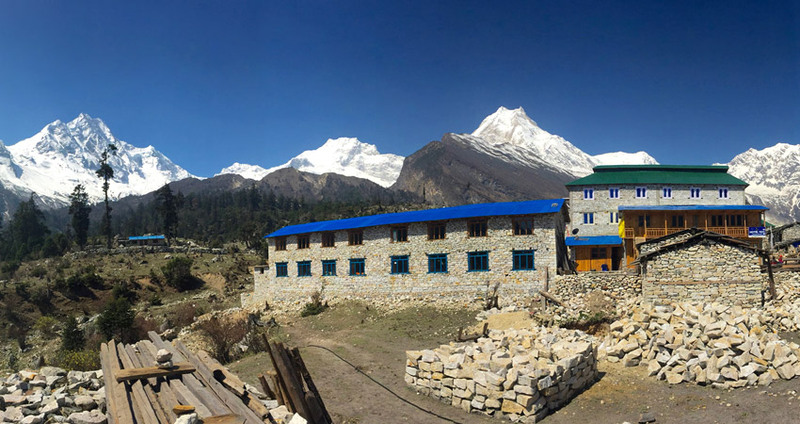 Tsum Valley Trek, Trekking in Manaslu Tsum Valley,Itinerary, Cost. Tsum valley Trek counts in the remote area of Nepal. It is the restricted area where one needs a special permit from the government to visit. It is the land of Tibetan Buddhist with there distinct art, culture, and religion. It is one of the Buddhist pilgrimage sites. 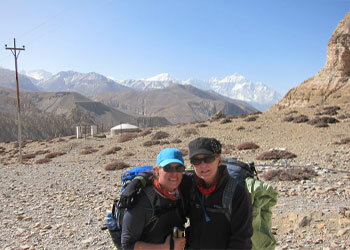 Tsum Valley Trek starts with an exciting 7 hours drive from Kathmandu to Arughat. The Treks has right paths combined with dense forest, terraced fields, and hill villages. Also, this trek leads you to the Budi Gandaki River Valley through the less explored community of Tsum Villages. The valley is rich with ancient culture and tradition with Buddhist monasteries, chortens and prayer flags, monuments, etc. The most extended mani walls at Dzong and Phurpe is one of the main highlights of Tsum Valley. Apart from the Buddhist culture, Tsum valley offers its travelers with the fantastic views of mountains like Ganesh Himal Range, Sringi Himal, Buddha Himal, and Himalchuli. Also, Rachen Gompa, Mu Gompa, Dephyudonma Gompa are some of the Gompa found in Tsum Valley. September, October, November, March, April, and May are the best seasons to experience Tsum Valley Trek. The trek is less travel area and unspoiled if you are looking for a new trek route with great cultural experience can choose this package. Best Travel Time: September, October, November, March, April, and May are the best seasons to experience Tsum Valley Trek. Trip Snippets: 19 days, 6 night’s hotels, 11 nights Lodges, Breakfast in Kathmandu, 3 meals a day ( breakfast, lunch and dinner) during the trek are included. Your trek Backpack/duffle bag: Your baggage on the trek will be carried by our porters, the maximum weight per trekkers is 15 kg, If you have any items not required on trek can be stored in our office or your hotel in Kathmandu. On this day we will be driving ahead to Arughat from Kathmandu through Dhadingbesi which takes about 6 to 7 hours by van or tourists bus. We will reach our starting point of Trek Arughat enjoying the greenery of Dhadingbesi on the way after a short drive. We will be staying at Arughat overnight. After enjoying and having fun in Arughat we will head towards our next destination Soti Khola crossing the bridge over Budhi Gandaki and following the stoned path through the bazaar at north. On the way, we will be passing the way of Mangaltar and the dense forests and arrive at Shanti Bazar. Crossing the Arkhet Khola we will be passing the shops of Arkhet Bazar. We will be staying overnight at Soti Khola. Crossing the bridge and trekking through the beautiful Sal forests, we then climb above the ridge the Budhi Gandaki. The trail then takes its way up and down, past two tropical waterfalls on a steep, rocky path. Eventually, we will make our way to a few rice terraces, then to the Gurung village of Labubesi. Walk down the sandy river and rounded stones before climbing over a side ridge. We again head down to the river and traverse to Machha Khola village. We will be staying overnight at Machha Khola. After a few walks, we will reach to Tatopani a place with hot spring waterfall. From there we will climb over another ridge, then cross the Budhi Gandaki. Climb the staircase; we reach to Dobhan. Crossing a bridge over the Dobhan Khola, the trail climbs to Duman. Climbing up again to the Budhi Gandaki, we will reach Yaru Khola. The kind of climbing and crossing the bridge happen at the Yaru Khola as well as Tharo Bharyang.Cross the west part of the BudhiGandakii, we will reach the village of Jagat. We climb over a rocky ridge to Salleri and then descend to Sirdibas. The valley widens a bit as the trail continues up to Ghatta Khola. Continue upstream to a long simple hanging bridge. Climb up to Philim, a large Gurung village. Philim valley is well known for Japanese made school and police station. Walk past Philim to the north across a forest with the views of the narrowing valley we reach Chisopani. The very next day we will trek to Chokhangparo from Chumling. On the way, we will enjoy great views of Ganesh Himal and walk until we reach to Gho Village. After that, we will again head toward Chhokangparo which is 2 hrs walk from Gho village. We will make a short visit to Lamagaon crossing rope suspension bridge to the Rachen Gompa from Chokhangparo and then cross the Shiar Khola. After walking through the village called Lar, Phurbe and Pangdun, we will crossing the village of Chhule, climb upstream and cross the bridge to finally arrive at Nile. Today we will enjoy sightseeing of Mu Gompa for the rest of the days. After having our breakfast, we then head towards Burgi village through Milarepa cave from Mu Gompa. Climb up to the Milarepa’s Cave we reach Burgi village which is small beautiful village. Continuing the trek, we then head back to Chumling. Continuing the trail, we then head towards Philim from Chumling. A trail passes through the Phillim village that leads to the Ganesh Himal Base Camp. Today we will be trekking from Philim following the trail of Jagat and Tatopani. After walking for some hrs we will reach Tatopani where we can enjoy the hot spring water fall. Walking up and down from Tatopani to reach Khorlabesi, we will rest at the place and stay overnight. Enjoying at Khorlabesi we will head back to Sotikhola and stay overnight in Soti Khola. On this day we will get back to Soti Khola and to Arughat and drive our way back to Kathmandu and take some rest or roam around the city and enjoy. 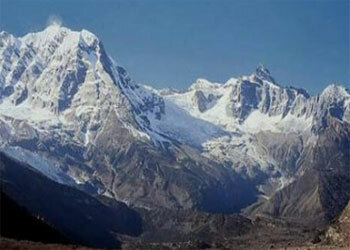 Special Trekking Permit for Tsum Valley. Manaslu National park permit. Nepal entry visa fee, you can get Nepal visa upon arrival in the Airport.